"There is no indication that this is a terrorism act. There is no indication that this is a hate crime at this time..."
This Sept. 25, 2015, file photo shows members of the Peel Regional Police. Canadian police say an explosion set off deliberately in the Bombay Bhel restaurant on May 24, 2018, has wounded a number of people. Police hunted for two people Friday after an explosion caused by a homemade bomb ripped through an Indian restaurant at a mall in the Toronto suburb of Mississauga, wounding 15 people. Authorities said two people with their faces covered to conceal their identities entered the Bombay Bhel restaurant late Thursday, dropped the bomb and fled. Two birthday parties were taking place at the restaurant and about 40 people were inside, including children, though none of the youngsters were injured. "There is no indication that this is a terrorism act. There is no indication that this is a hate crime at this time," Peel Regional Police Chief Jennifer Evans said. "Every police resource is being used right now to locate the people responsible for this horrendous act." Police said Friday that all the injured had been released from the hospital. Officials initially said three Indian-Canadians suffered critical injuries and were being treated, while the remaining 12 victims suffered what Evans described as superficial injuries. The ages of the injured range from 23 to 69. The explosion happened just after 10:30 p.m. and the plaza where the restaurant is located was still sealed off Friday. Television footage showed an injured women limping away from the restaurant. 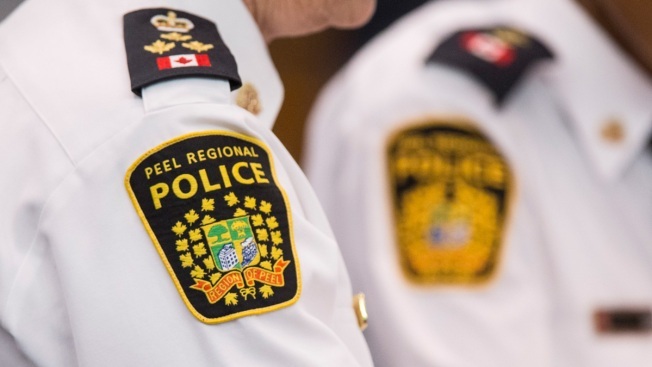 Peel Regional Police Sgt. Matt Bertram said an object resembling a pail or paint can was carried into the restaurant by one of the bombers. "Nothing was said by these individuals," he said. "It appears they just went in, dropped off this device and took off right away." Bertram said authorities couldn't say what the motive was or what explosives were used. Police asked for the public's help and released a photo of the two people, who wore dark hoodies pulled over their heads and had their faces covered. One suspect was described as someone in his mid-20s with a stocky build, wearing dark blue jeans and a baseball cap with a light gray bill. The second was described as a little shorter with a thin build, wearing faded blue jeans, a gray T-shirt and dark-colored skate shoes. Rafael Conceicao, a student from Sao Paulo, Brazil, was near the restaurant when the explosion occurred. "I would call it a very heinous, reprehensible act committed by cowards who came into a restaurant where people are vulnerable, celebrating with their families and where children are present," she said. "This is certainly not anything you would expect to happen in Mississauga." The explosion came a month after the driver of a van plowed into pedestrians on a Toronto sidewalk, killing 10 people and injuring 14. Authorities have not disclosed a motive. But they have said the arrested driver, Alek Minassian, posted a message on social media referencing a misogynistic online community before the attack. Bertram said police sealed off a couple of areas east of the restaurant where footprints, a glove and other evidence were located. Police believe the suspects fled in a car. Sanjiv Jagota, who owns a nearby store, was driving by Thursday night when he saw emergency vehicles and stopped. Standing outside the police tape, Jagota waited with the son of the Bombay Bhel's owner to see how everyone was. He said he is good friends with the family, who started the restaurant in the 1990s. "This place is like their baby."